Preheat oven to 400 degrees. Season chicken breast with ½ tsp. of Tuscan seasoning. While chicken is baking, spread 2 tsp. of olive oil on flat out wrap. Spread ½ tsp. of Tuscan seasoning over wrap. Spread tomatoes, asiago cheese and any other vegetables on flat out wrap. After chicken is done baking or grilling, chop up one half of the breast and distribute on flat out wrap. Place the pizza directly on the oven rack and bake for 8 to 10 minutes. 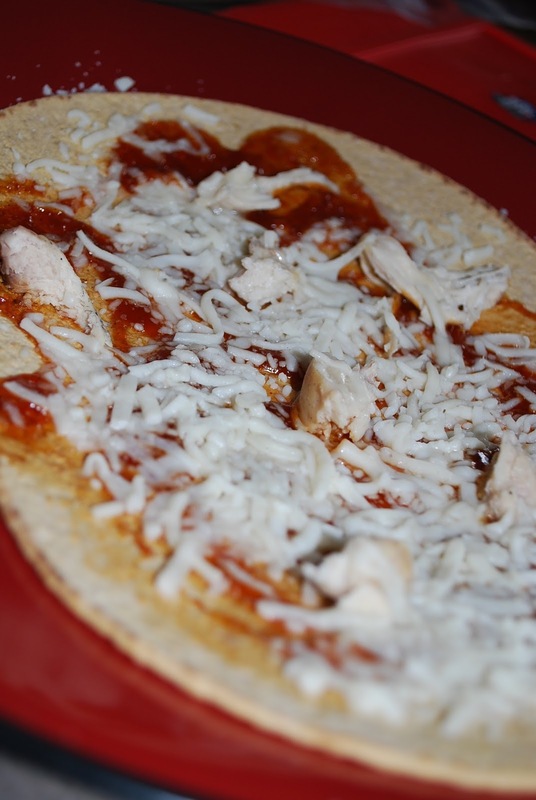 This entry was posted in Nutrition and tagged chicken, diet, Dinner, health, healthy pizza, nutrition, pizza, wellness by Mike Gorski. Bookmark the permalink. I love making flat out pizzas! They also bake nice and quickly in a toaster oven. Flat Outs are so versatile, love them for that reason.